After watching Air, it seemed a good plan to check out Kanon. I’ll actually amend that a little. After the sucker-punch of Air, I was a little worried but felt I ought to check out Kanon. It now seems to me that, what with all the mysterious ailments, accidents, demon-fighting, and transmogrifications your average Japanese schoolgirl is faced with, it’s a bit of a miracle that any of them survive to adulthood. I don’t really have anything more insightful to say on the series other than that it was an excellent watch and I would recommend it. 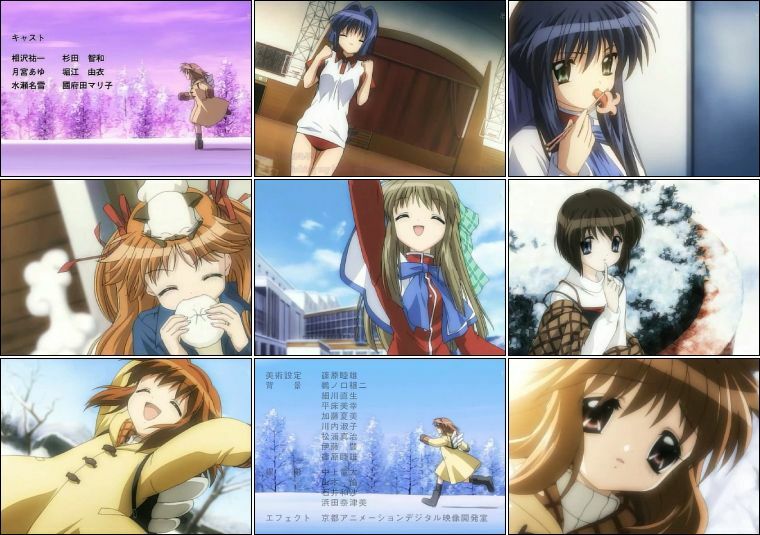 You should, however, watch Air first, because I think it makes the ending of Kanon considerably more satisfying to watch them in that order. Also, now that I’ve watched a few visual-novel-based series and played a couple of them, I really need to go back and watch Welcome to the NHK again.